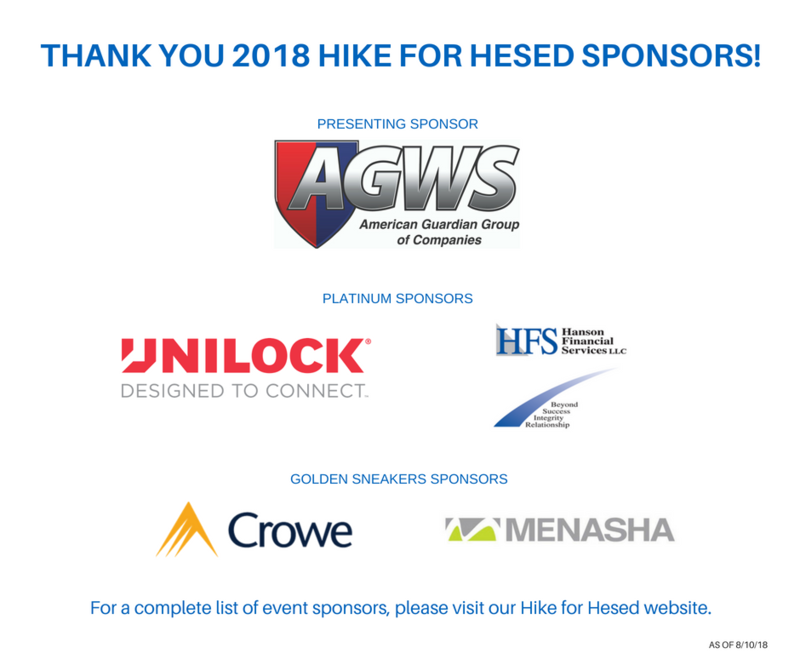 Thank you to everyone who helped make the 14th Annual Hike for Hesed such an amazing day. Some 450 people gathered together on September 15th and walked along the Fox River path before sharing a celebratory lunch together. Over $61,000 has been raised to help us serve our neighbors in need. We are grateful for all of our generous sponsors and donors, as well as for each person who came out and walked with us. If you have photographs from the day, share them with us at hike@hesedhouse.org. We hope to see you next year!